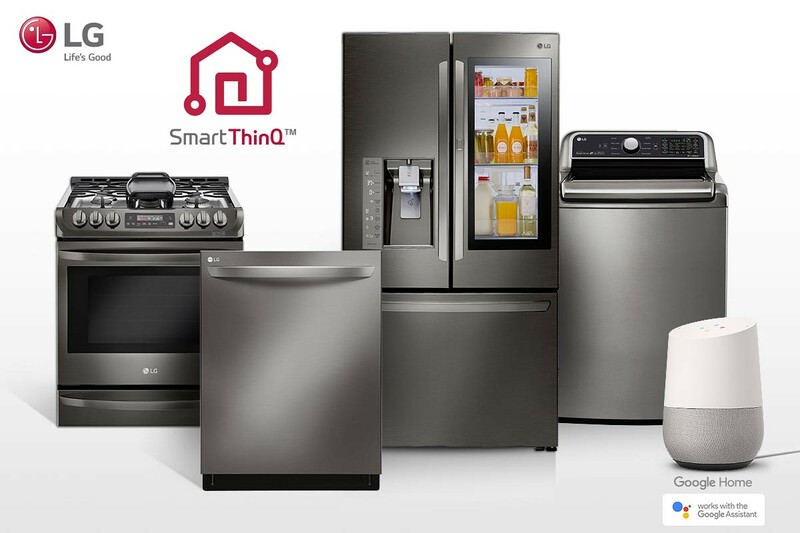 LG announced that 87 Wi-Fi connected smart home appliances of the company – including washing machines and dryers, refrigerators, ovens, dishwashers, vacuums and air purifiers – are now compatible with the Google Assistant on Google Home, eligible for Android phones and iOS smartphones. “LG smart appliance owners – explained the company – can now have the Google Assistant help them around the house with their connected LG appliances, all hands free. For example, they can use simple voice commands on their phone or anywhere within range of the Assistant on Google Home to check the time remaining during wash cycles on their washing machine, tell their LG refrigerator to make more ice, turn off their range after cooking, adjust thermostat settings on their LG air conditioner and even check the air quality level in the home using their LG air purifier. The Assistant on Google Home can also distinguish one voice from another so it can be personal to each family member”. In addition to Google, LG’s open partnerships include others such as Amazon to meet the needs and preferences of smart home adopters.